A growing trend in Great Britain are the companies giving their employees time off for their pet care needs. Realizing how important peoples’ pets are to their employees these firms want to accommodate pets owners with on average 8 to 10 hours of paid time off. A few others are giving even more time off when a new or ill pet needs attention. Most workers in the past have used their own vacation time or even their own sick time to care for their pet. 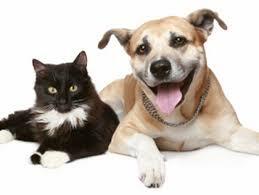 For some the time off to address their pet’s well being was being taken as unpaid time off. Giving employees time off for their pet’s care eliminates the stress many workers have felt when taking time off in the past. For others there was a concern that they would be fired or laughed at if they asked for time off for their pet’s care. Employers are realizing the value of having a pet for their employee. Not quite so pleasant, we are also seeing Pet Bereavement time off for pet owners. For many people the loss of a pet can be difficult to deal with and a day or two off can be very helpful to them. Most companies are finding it beneficial to provide access to their employees for pet support, even when it is not paid time off. While we don’t expect many companies will offer paid time off for pet care we would like to see the stigma of taking some time out of work for your pet to be eliminated.